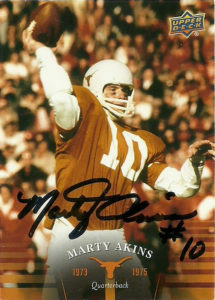 Marty Akins played for the Texas Longhorns from 1972 to 1975 and is considered legendary coach Darrell Royal’s favorite quarterback. Oddly the Longhorns starting quarterback first got noticed as a dangerous kick and punt returner during the 1973 Cotton Bowl. 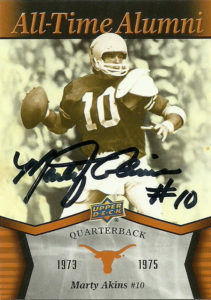 He became the starting quarterback for the Longhorns in the 1973 season and led the school to Conference Championships in both 1973 and 1975. At the time of his departure from the school, Marty earned numerous school records and finished with a 27-9 record. Among his QB records were the school career rushing record (2020 yards), career rushing TDs (26), and the single game rushing yard record (188), which all stood until the Vince Young era. 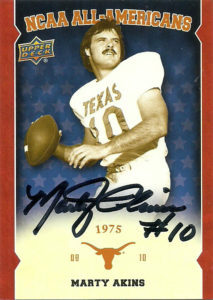 Marty capped his 1975 by earning NCAA All-American Honors, and numerous SWC and National honors. The Wishbone never caught on at the pro level, so the NFL was at a loss as what position a gifted athlete like Marty should play. 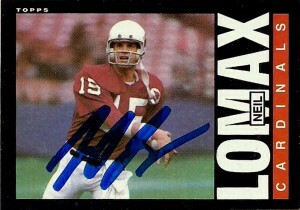 He’d be selected in the 11th round of the 1976 Draft by the then St. Louis Cardinals. Although a featured member of the scout team who could play a variety of positions in a pinch, he saw no significant playtime during his stint in the league. 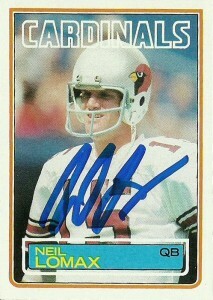 Later in 1977 he’d be traded to the New Orleans Saints, but retired before the regular season began. In 1995, Akins was inducted into the Longhorn Honor Roll, and has received many other post retirement honors for his time at Texas. He went into law, coached golf at the college level, and as of 2017 lives in the Austin, Tx area. Wow. Great find in Marty here. 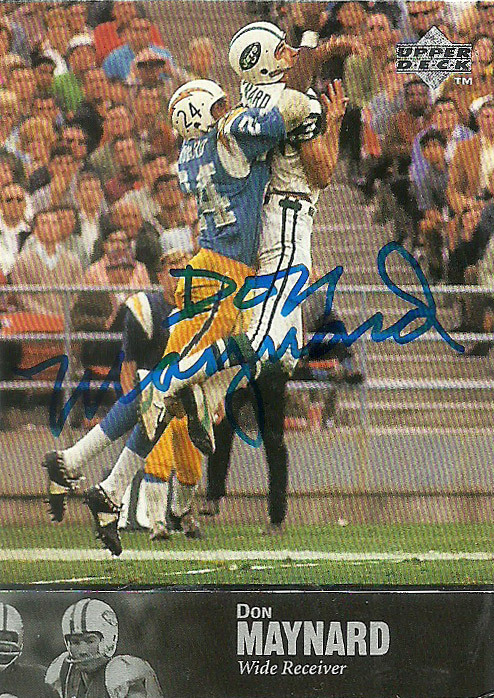 With 3 superior action shots of him here, this is a great example of a canvas made better by an exquisite autograph. Marty has solid curvature to his signature, with all the loops and hooks at the right place. 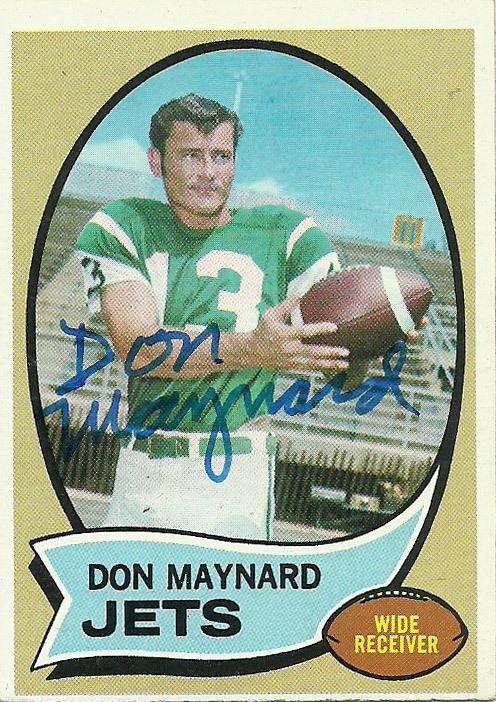 He wrote me a warm return letter and included a copy of a nice note that Darrell Royal sent Marty, telling him that Marty was the best quarterback he ever coached.